The ceremony takes place twelve days after the orthodox Christmas (12/1). In the eve of the ceremony, From every church, the TABOTS, which are the holy replicas of the ‘Ark of covenant’, are taken out and being carried on the head of the priests (as shown in the photo) in a very colorful procession: the priests are escorted by singing and dancing church youth groups, by drumming and hand-clapping of the worshipers, all the way to a nearby water pool. Near the water a tent is erected, and the Tabots spend the night there, while all day and night people are coming to pray and enjoy the spiritual atmosphere. Next day, early morning, the priests are praying and blessing the water; the believers jump into them in act of baptism or sprinkle the blessed (now holy) water on themselves. 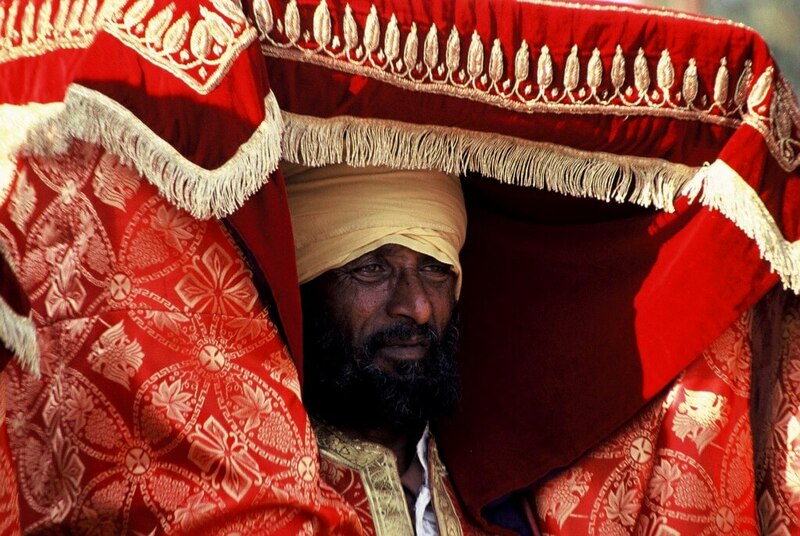 Ethiopia is the only place, where The Orthodox Christians are repeating the baptism year after year.